It feels good to be bad… Assemble a team of the world’s most dangerous, incarcerated Super Villains, provide them with the most powerful arsenal at the government’s disposal, and send them off on a mission to defeat an enigmatic, insuperable entity. Written and directed by Ayer based on the characters from DC Comics, the film also stars Adewale Akinnuoye-Agbaje (“Thor: The Dark World”), Jay Hernandez (“Takers”), Ike Barinholtz (“Neighbors”), Jai Courtney (“Insurgent”) and Scott Eastwood (“Fury”). It is produced by Charles Roven and Richard Suckle, with Zack Snyder, Deborah Snyder, Colin Wilson and Geoff Johns serving as executive producers. Ayer’s behind-the-scenes creative team includes director of photography Roman Vasyanov (“Fury,” “End of Watch”), production designer Oliver Scholl (“Edge of Tomorrow”), editor John Gilroy (“Pacific Rim”), costume designer Kate Hawley (“The Hobbit” Trilogy) and Oscar-nominated visual effects supervisor Jerome Chen (“Stuart Little,” “Fury,” “The Amazing Spider-Man” films). The music is by Oscar-winning composer Steven Price (“Gravity”). 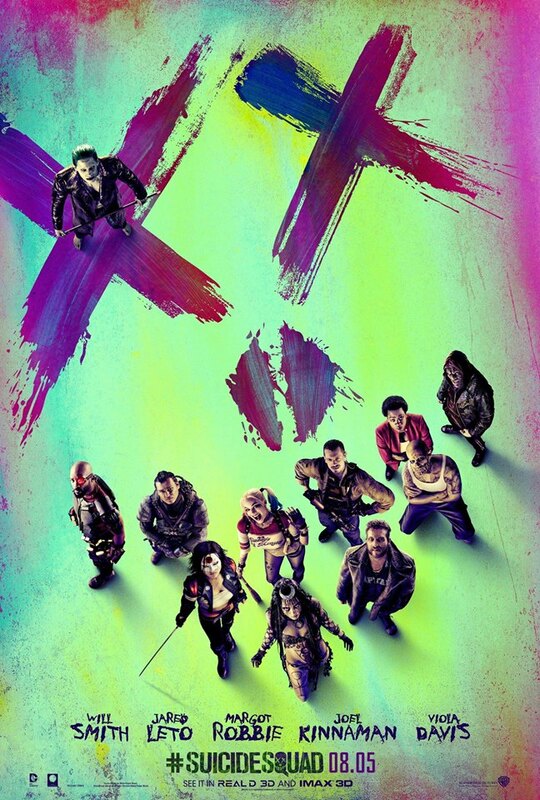 Warner Bros. Pictures presents, an Atlas Entertainment production, a film by David Ayer, “Suicide Squad.” The film will be distributed worldwide by Warner Bros. Pictures, a Warner Bros. Entertainment Company. The film opens worldwide in 3D, and in 2D, and in select IMAX 3D theaters beginning August 5..